Muscle aches. High fever. Sore throat. Nagging cough. Yep, it’s flu season! Every medical professional, from national agencies like the Centers for Disease Control and Prevention and the Red Cross to local doctors like The Pediatric Clinic’s Dr. Stephen Sanches say the best course of action to preparing your child’s and your own body starts with a flu shot. Children can start getting the flu shot once they are 6 months and older, Sanches said. The child’s first vaccination must be done in two parts – the normal shot and then a booster shot a month later. After that first year of vaccination, Sanches said the child will only need one annual shot, with he said usually takes two to three weeks for the body to fully develop the antibodies. But for children under 6 months, Sanches said the best prevention for the child is keeping the parents and caregivers healthy. “I recommend all new parents get the flu shot and any other caregivers – grandparents, child care workers – have the flu shot. It’ll take care of the parents and caregivers, which will then take care of the infant,” he said. While the flu shot is effective in protecting people from the flu – Sanches estimates the vaccine can be around 90 percent effective in its best years and 60 percent effective in down years, depending on the flu strains that year – it’s not impossible to develop the sickness. Sanches said he recommends bringing a child to their pediatrician the moment they start to feel the typical flu symptoms – high fever, fever with a runny nose, coughing, fatigue and muscle and body aches. Depending on how far progressed the flu is, drugs like Tamiflu can be used to slow down the virus, but they won’t stop it completely. Sanches said when given in the first 48 hours of flu symptoms, Tamiflu is effective is decreasing the length and severity of the virus. 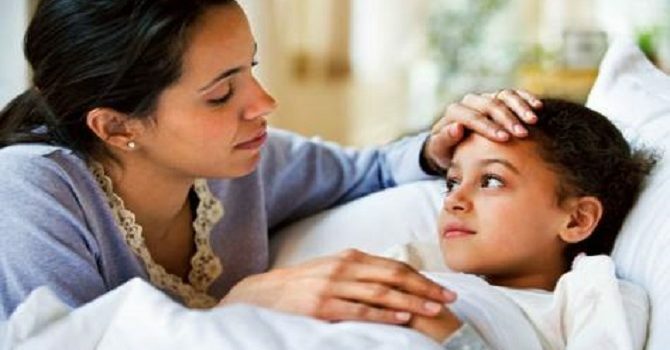 If those flu symptoms develop to the point that a child can’t or won’t drink fluids or start to have respiratory problems, Sanches said that’s when the parent should go to the emergency room with their child. “In general, children are not more susceptible to getting the flu. They do have less physical reserves than adults and can get a little sicker because their bodies aren’t as big. Their immune systems are still developing,” he said. “Adults see the flu every year, so their bodies, in general, aren’t affected as severe. The flu season typically runs through March, but it can spread into April. While the flu is already here, Sanches said it’s not too late to get a flu shot if you haven’t done so already. “It’s not going to hurt, and it can help no matter how late it is,” he said. Dr. Stephen Sanches is a pediatrician with The Pediatric Clinic in Baton Rouge.